With the increasing carbon content in the atmosphere, and with the decreasing supply of fossil fuels; nuclear energy has become more imperative then ever. Without nuclear energy, it is not possible to produce enough electricity to meet the world’s needs. With new generation nuclear reactors, it is possible to have inherently safe nuclear reactors. 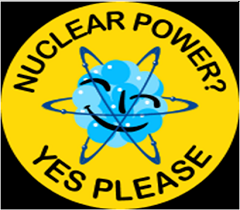 This website will have lectures, seminar notes, discussion forums in nuclear energy as well as updated nuclear news om the nuclear energy sector. The content in this website is intended to be an introductory course for nuclear engineering.